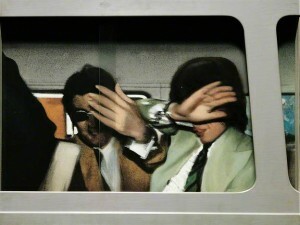 Richard Hamilton was an english painter and printmaker. Three different strands of training and experience contributed to his early life and career after being taught briefly by Mark Gertler at Westminster Technical College in 1936: a traditional training at the Royal Academy Schools (1938–40, 1945–6); experience in commercial art at the Design Unit (1941–2) and at the record company EMI (1942–5); and an avant-garde, modernist-influenced training at the Slade School of Fine Art (1948–51). In 1955 Hamilton exhibited at the Hanover Gallery, and participated in This is Tomorrow at the Whitechapel Gallery in 1956, for which he produced one of his most recognisable collages entitled Just what is it that makes today’s homes so different, so appealing? for the poster and catalogue. Hamilton was a member of the Independent Group, formed in the 1950s by a group of artists and writers at the Institute of Contemporary Arts, whose ideals contributed to the development of Pop art in Britain.